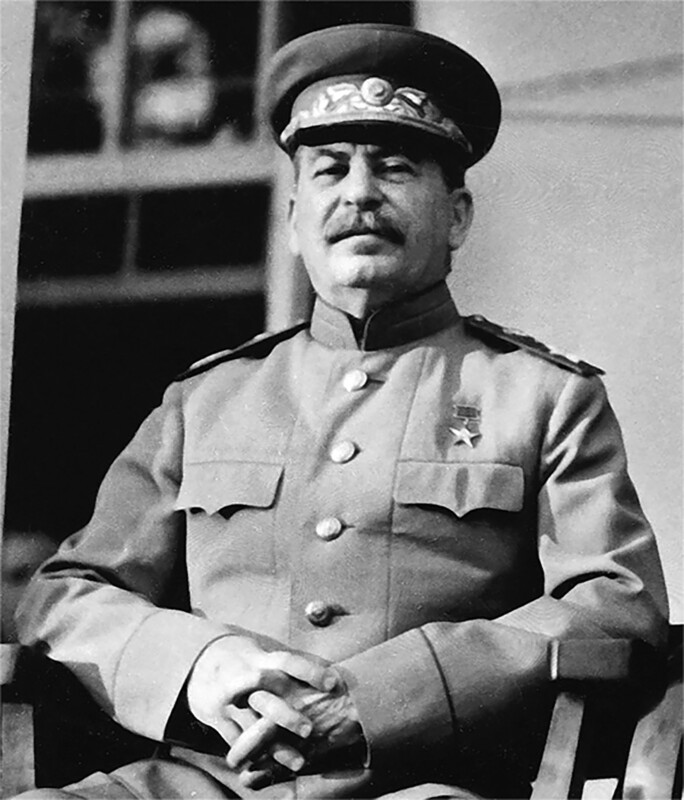 Joseph Stalin launched several repressive campaigns during his reign and his last was predominantly focused on the Soviet Jews. At the dawn of the Cold War, in the late 1940s – early 1950s, Joseph Stalin found inner enemies whom he considered traitors – and, unfortunately for Soviet Jews, it was them. On Jan. 13, 1948, a mutilated body was found in a street in USSR’s Minsk (now Belorussia) – a 57-year-old Jewish man. 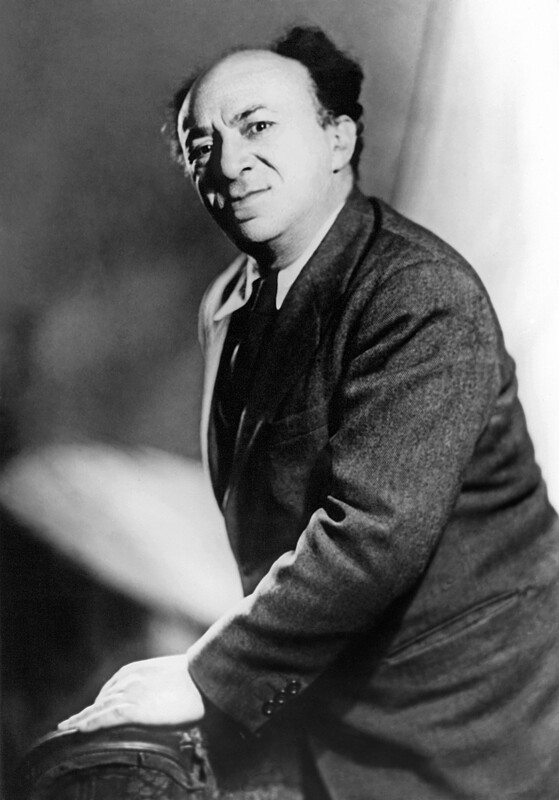 It was Solomon Mikhoels, the artistic director of the Moscow State Jewish Theater, well-known far beyond the USSR for his work as a head of the Jewish Anti-Fascist Committee (JAFC), a non-governmental organization founded in 1942. And his death was not accidental. Several weeks before, in December 1947, Joseph Stalin had ordered Viktor Abakumov, the Minister of State Security, to plan and carry out the secret assassination of Mikhoels. Abakumov’s agents caught the man during his trip to Minsk and murdered – ran him over with a truck – leaving the body in the street, faking an accident. Solomon Mikhoels (1890-1948) was a man unlucky enough to cause Stalin's suspicions which led to his horrendous death. There was no evidence to that but for Stalin’s oppressive apparatus the possibility was more than enough. Mikhoels, as a head of the JAFC, had traveled North and Latin America in 1943 raising money for the USSR (they rose about $ 10 mln) and had many contacts with the West so Stalin considered him dangerous, Kostyrchenko explained. By the late 1947, he was doomed, and so was the JAFC. At the same time, Stalin and his henchmen never declared an official campaign against any particular nation. “Basically, in press they were just using expressions as “rootless cosmopolitans”, “those who kneel before the West”, but then lists of surnames followed and all of them were Jewish,” Kostyrchenko explains. Everyone understood who these “cosmopolitans” were. Unlike Stalin’s Great Purge of the 1930s which led to uncountable deaths, his campaign against “cosmopolitans” started as almost bloodless, basically confined to criticism in newspapers and dismissal of officials, with poor Mikhoels being an exception. But then the situation changed. At first, Stalin considered Jews and Israel allies but after Tel-Aviv chose their own course, the authoritarian leader got really mad. In many ways, Stalin’s prejudice towards Jews worsened after Israel, which the USSR helped to create in 1948, chose to be an ally of the U.S. 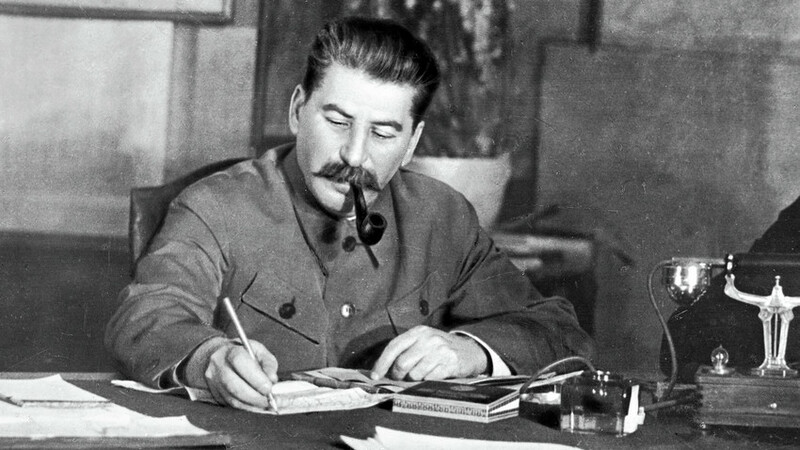 Disappointed and afraid of the Zionist cause growing within the country, Stalin never let Soviet Jews repatriate to Israel and decided to wipe out the JAFC, which served as a connection between Jews in the USSR and their diasporas around the world, completely. And that’s exactly what happened in late 1948: the government dissolved the committee and started trials that lasted until 1952. 15 key members of the organization were charged with treason and cooperation with American intelligence. The secret services had no hesitation over using torture. “Each day they were beating me with a rubber stick and then, when I fell, kicking me,” – that’s how one of the detainees would describe his interrogations in court. 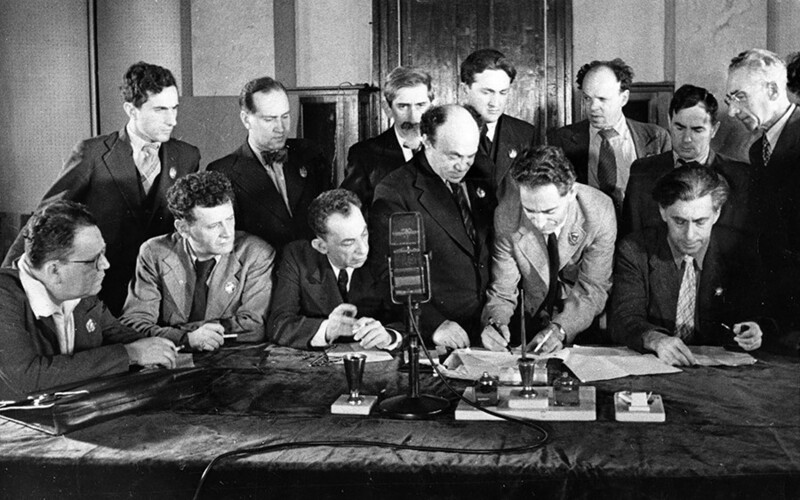 The Jewish Anti-Fascist Committee, a group of Jewish artists, writers, and musicians signing an appeal to the jews of the world to join the fight against Hitler and all forms of fascism, 1941. 10 years later, Stalin would wipe their organization out. In Stalin’s Russia, confessions obtained under torture were enough to carry out a decision. The court sentenced 13 out of 15 defendants to death and they were secretly shot on Aug. 12, 1952. For the Jewish community, this date became known as “the Night of Murdered Poets” as several victims were authors writing on Hebrew and Yiddish. For 3 years, Soviet officials denied their deaths – they just “disappeared” from the eyes of the world. Soon after that, in the late 1952, a new “case” unfolded. A group of authoritative Moscow doctors, predominantly Jews, were accused of trying to assassinate Soviet leaders through wrong treatment. “It started with a 5-year-old letter saying that a commission of Kremlin medics probably mistreated Andrei Zhdanov, one of Stalin’s ministers,” Gennady Kostyrchenko says. Back then, Stalin ignored the letter but when the time came, used it as another pretext for repressions against “cosmopolitans”. The police arrested several dozen doctors, accused of “forming a Zionist plot”, even though not everyone among them was Jewish. It was the first time when the “Zionist” cause was mentioned officially which led to a more intense campaign in the press against the Jews. It’s still unclear what Stalin’s plans towards the Jews were back then. As Lyubov Vovsi, whose father was among detainees, remembers, “rumors that all Jews would be sent to the Far East filled Moscow”. Most likely, such rumors exaggerated the situation as the government held no preparations for that, historians believe. Anyway, the situation for the detainees was rough and only Stalin’s death on March 5, 1953, stopped the nightmare. Those who “inherited” power stopped the campaign, and all the doctors came back home alive and released from all charges. Paradoxically, Stalin’s policy towards Jews wasn’t always so brutal – for instance, read an article on how he tried to create his own “Israel” within the Soviet borders (but failed).